WWE Quiz: Rusev - How Much Do You Know About The Bulgarian Brute? Since debuting at 2014's Royal Rumble, the Bulgarian Brute has featured in numerous memorable storylines for WWE, always guaranteeing to elicit a response from the WWE Universe. Initially, Rusev was an invincible heel who crushed his opponents en route to becoming United States Champion and "Hero of the Russian Federation". 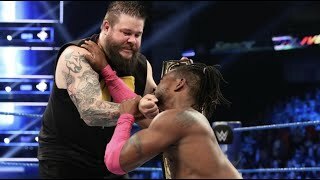 Following that he entered into a regrettable romantic feud featuring Dolph Ziggler, Summer Rae and Lana, which ended when he got engaged to Lana (who in storyline was with Ziggler) in real life. A stable with Sheamus, Alberto Del Rio and King Barrett came next. The League of Nations were a gang of foreign menaces who would stop at nothing to prevent Roman Reigns from being WWE World Heavyweight Champion...which he would become regardless. 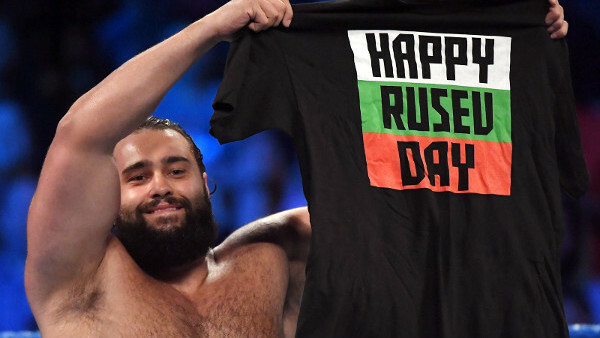 Rusev Day is his most popular gimmick however, what started as a throwaway line was embraced by WWE fans, who still insist that every day is Rusev Day. Nevertheless, just how much do you know about Rusev? Who did he beat to become the undefeated United States Champion? How quickly did Randy Orton beat him in their infamous SummerSlam match? When was the first ever Rusev Day?! 1. Which Attitude Era Stars Trained Rusev?